Racing has never been a truly safe endeavor, but people behind the sport have learned how to improve it over the years. And while there have been plenty of safety improvements within race cars, like multi-point seat belts and devices for neck protection, some of that focus needed to be outside of vehicles as well. Happy Sunday! Welcome to Holy Shift, where we highlight big innovations in the auto and racing industries each week—whether they be necessary or simply for comfort. As an extra note, we’ve also moved Holy Shift to later in the day! Keep an eye out for it on Sunday afternoons now, you hear? One area that needed quite a bit of attention was one that should instinctively make both spectators and competitors feel safer: the surrounding walls. The concrete barriers around race tracks, particularly the non-road course circuits, were less than forgiving and had the potential to end in serious and sometimes fatal impacts. Though talks of a softer alternative existed, the first major movement to act on the idea didn’t materialize until nearly the turn of this century. But nearly two decades later, the issue still remains—to a lesser degree, that is. Many high-profile tracks around the United States use what are called SAFER barriers these days, which are “soft walls” containing steel tubes full of foam designed to lessen crash impacts. The only real concern is where concrete walls aren’t covered. The problem with foam, however, is that it would worsen the accident by snagging the car, causing an unpredictable and often-violent reaction. The defining movement to pad concrete track walls came at Indianapolis Motor Speedway in the late 1990s. With injuries and heavy impacts racking up on the track, IMS president Tony George wanted a solution. According to NASCAR.com, that first attempt was called the Polyethylene Energy Dissipating System—the “PEDS,” for short—and put on an interior wall near pit-road entrance in 1998. The attempt at IMS had good (and longstanding) intentions, but it didn’t work well. The PEDS barriers were made of plates with high-density polyethylene, a type of plastic, with the intention to compress on impact and then return to their original state. With that, it didn’t take long for folks to realize the PEDS barrier wasn’t the best (or safest) choice. That’s when the task went to a civil engineer by the name of Dean Sicking, according to NASCAR.com. Sicking first sought to redesign the original barrier, but soon began working on a new design altogether. Sicking’s design featured square steel tubes encompassing crushable foam insulation, and became known as the Steel and Foam Energy Reduction—or, informally, the SAFER—barrier. Per NASCAR.com, the first barriers went in just in time for the 2002 Indianapolis 500 before spreading to other tracks. Widespread demand for SAFER barriers meant the need for a lot of materials and the new barriers were around $500 per foot, according to ESPN. From there, they began installing the barrier. Sicking, one of his colleagues, or former NASCAR safety head Steve Peterson visited each track and made certain each of those identified areas was addressed, Sicking said. Today, the big problem is that many drivers feel there aren’t enough of these “soft walls” where there should be. As hard wrecks began to find the uncovered walls, calls came to expand the SAFER barriers to provide full coverage around tracks. Just last year, eventual NASCAR Sprint Cup Series Champion Kyle Busch hit an unprotected wall at the season-opening Xfinity Series race at Daytona International Speedway. Busch sustained two fractures from the hit, and again, calls came for more barriers. But he’s not the only one. 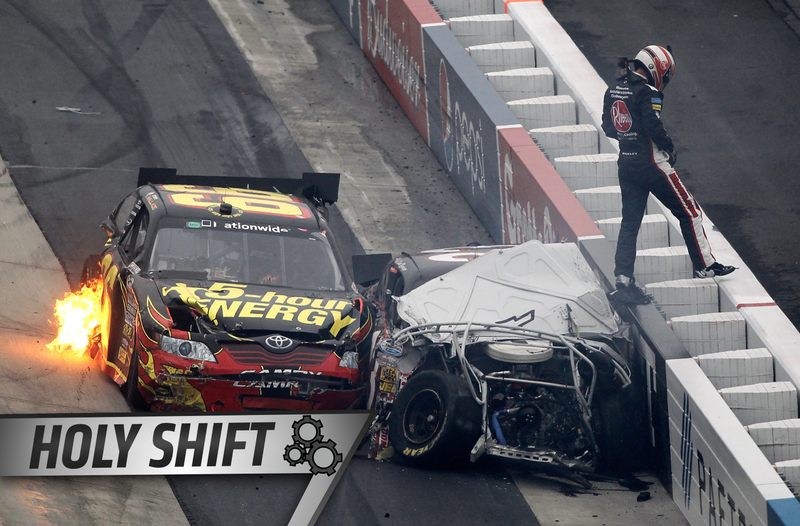 In 2015, Busch, Austin Theriault and Jeff Gordon all ran into unprotected walls. Theriault took a trip to the hospital with a back injury following his wreck at Las Vegas Motor Speedway, and Busch missed 11 races due to his injuries. As tracks continue to add barriers, drivers seem to continue to find the areas not covered by them. But, regardless of injuries and controversy around coverage of walls, the SAFER barriers have likely prevented a lot more wrecks than we give them credit for. And for a sport in which the potential for danger is just part of the job, that’s a good thing.